The Indian Space Research Organisation launched a new variant of its Polar Satellite Launch Vehicle, the PSLV-DL. The flight sent the Microsat-R imaging satellite into orbit and tested a new use for its fourth stage. Liftoff took place at 1:07 p.m. EST (11:37 p.m. India Standard Time / 18:07 GMT) Jan. 24, 2019, from the First Launch Pad at Satish Dhawan Space Center in Sriharikota, India. The primary payload, Microsat-R, was deployed into a Sun-synchronous polar orbit of 170 miles (274 kilometers) in altitude with an inclination of 96.6 degrees. The fourth stage, which can now double as an orbital platform, was sent to a higher orbit at 280 miles (450 kilometers) with an inclination of 98.8 degrees. Microsat-R is a 1,600-pound (740 kilogram) Earth observation satellite. It was built for the Indian military Defense Research and Development Organization. On the fourth stage orbital platform is a student-built satellite called KalamSat. At 144 feet (44 meters) tall, the PSLV in its more-common “XL” variant typically has six strap-on solid rocket motors. For the “DL” variant, only two are utilized. After liftoff, the solid rocket motors consumed their fuel and separated at about 70 seconds. The first stage, which also ignited at liftoff, continued for another 40 seconds before separating. The second stage ignited promptly after the first stage fell away at a mission-elapsed time of about 1 minute, 50 seconds. It burned for about 2.5 minutes. During that time, the payload fairing separated at about 2 minutes, 45 seconds into flight. Once the second stage fell way, the third stage ignited and continued powering the stack toward orbit. 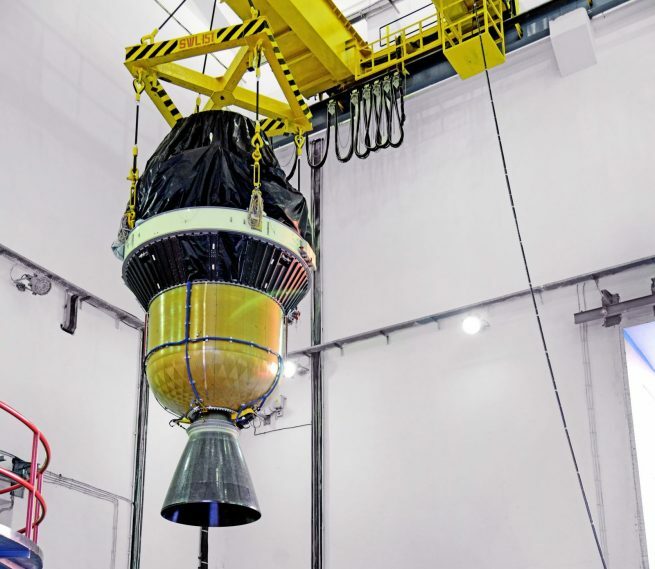 It finished its job before separating from the fourth stage and its payload some 8 minutes after leaving India. Just over 10 seconds later, the fourth stage ignited and continued to burn for about 4.5 minutes to place the Microsat-R spacecraft in its designated orbit. Once Microsat-R separated, at a mission-elapsed time of about 14 minutes, the fourth stage began to prepare itself for its secondary mission as an orbital platform. While not yet confirmed as of this publication, about 55 minutes after launch, the fourth stage was expected to re-ignite and burn for about 16 seconds. A third burn — about the same duration as the second burn — is expected to occur about 45 minutes after that in order to circularize its new orbit and begin its second life as an orbital platform. This was the 46th flight of a PSLV and the 35th from the First Launch Pad. 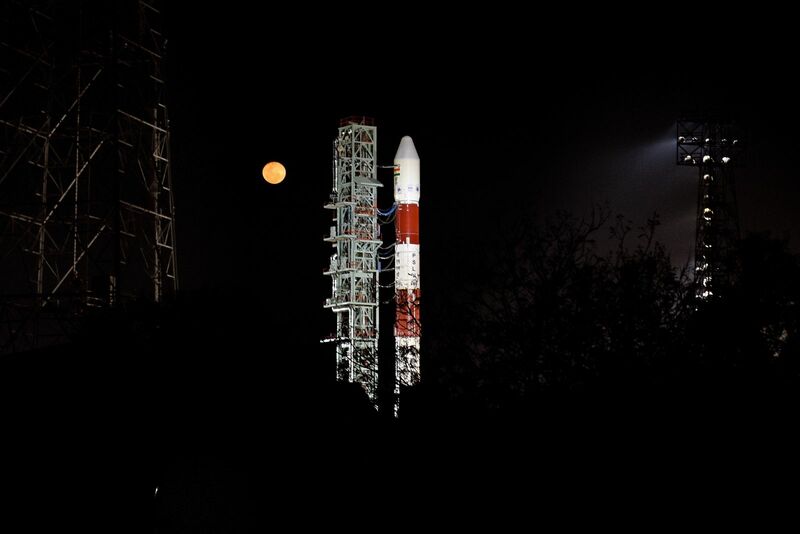 It was also India’s first launch of 2019.